We all know just how beautiful the Apple’s iPhone 7 screen is — there’s very few companies that have been able to compete with the detail and clarity packed inside the Retina display. That said, many folks want to keep the display clear and free from scratches, so they choose to put a screen protector on it. Unfortunately, depending on the screen protector, that can reduce the overall clarity of the display, which is something you don’t want happening. Generally, it is the cheap, couple dollar screen protectors that do this — if you invest in a good screen protector with a high transparency rating, you should still get that same, clear detail, even with the protector over the Retina display. So if you follow along below, we’ll show you the five best screen protectors for iPhone 7, and options that won’t ruin your screen clarity, too. First up, we’re looking at the AmazingForLess screen protector. With a 99.9% transparency rating, you won’t have a drop in screen quality — you’ll be able to get that same rich detail that you’ve always got before. AmazingForLess’ screen protector is actually tempered glass — that means this screen can take quite a beating before needing replacement. 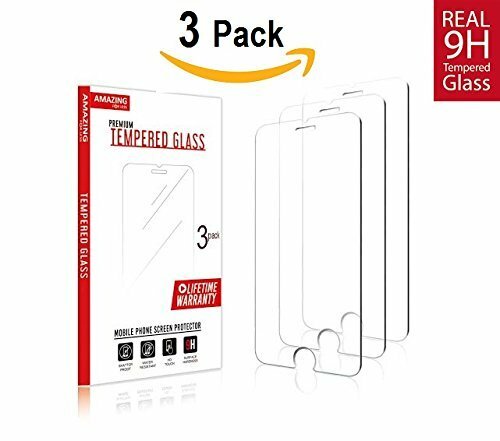 In fact, like many tempered glass protectors, this one is self-healing — minor cuts and scratches simply disappear over time. The neat thing about tempered glass is that it can keep your screen protected from some serious damage — more often than not, tempered glass is able to absorb screen-shattering impact, taking the blow and leaving your screen in near perfect condition. Next up, we’re looking at the BankBreak screen protector for the iPhone 7. It also has a 99.9% transparency rating, so you’ll get that same great Retina quality, even with this on. It’s tempered glass, so you’ll get only the best screen protector here as well. Put this one on your phone, and after a drop, you might think you seeyour screen cracked, but no, the screen protector took the impact for you — peel it off, and you’ll see a damage-free iPhone 7 display. The cool thing about this protector is that, not only does it come with two in the package, but it works for the iPhone 6S and iPhone 8, too. NearPow has a great package for the iPhone 7 as well. With the NearPow iPhone 7 screen protector, you get all inclusive protection, all thanks to the tempered glass material. With 2.5D protection, you get rounded edges that cover the whole front of the screen. 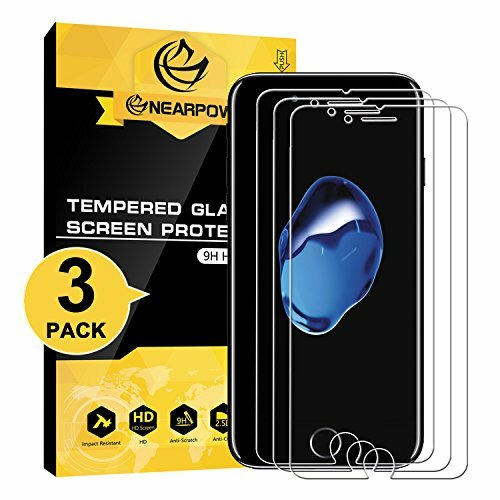 It has a 99.9% transparency rating, and like most screen protectors, the NearPow screen protector is self healing, so scratches and small cuts actually disappear over time. NearPow has an easy installation process, making it little hassle to apply this screen protector — NearPow also says it’s bubble-free as well, so you should get a near perfect application. 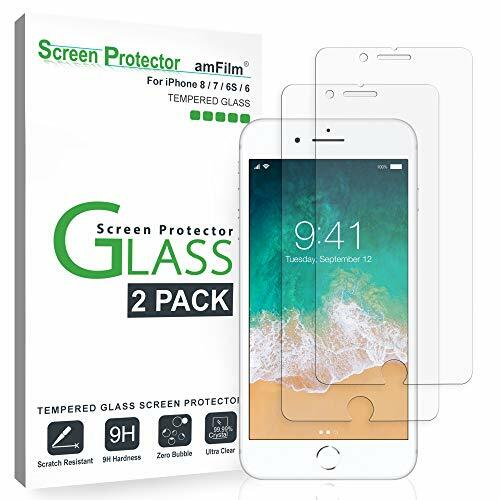 amFilm is one of our favorites, offering consumers an Ultra Clear 99.9% transparency screen protector — you’ll get the same great detail and clarity found in the colors on the Retina display, even if you have this protector on. 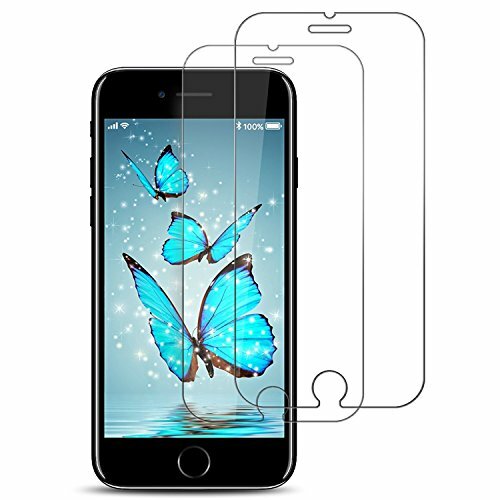 This is another tempered glass protector, so it is self-healing — cuts and scratches disappear over time. It has a surface hardness of 9H, so it can actually take quite a beating before needing a replacement. 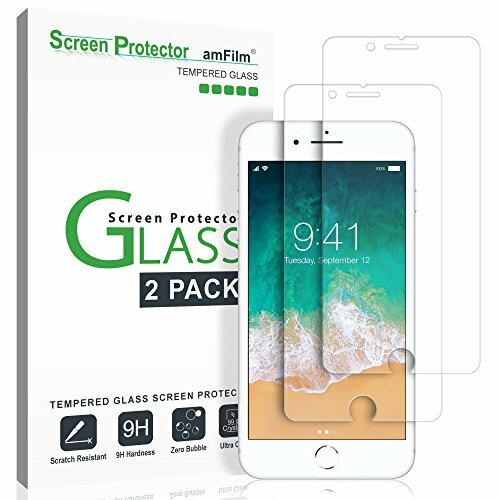 amFilm does offer two protectors in the package, so you have an extra in the event that you make a mistake during application or need a new one down the road. Last, but certainly not least, we’re looking at TheCoos Tempered Glass Protector. This one is certain to keep your device protected from any object that might try to scratch up your screen. It has that 99.9% transparency rating that we talked about. It’s got a good surface hardness of 9H+, so it’ll keep your screen protected from almost anything. But, on top of that, TheCoos has put a special coating atop of it to reduce lingering fingerprints. 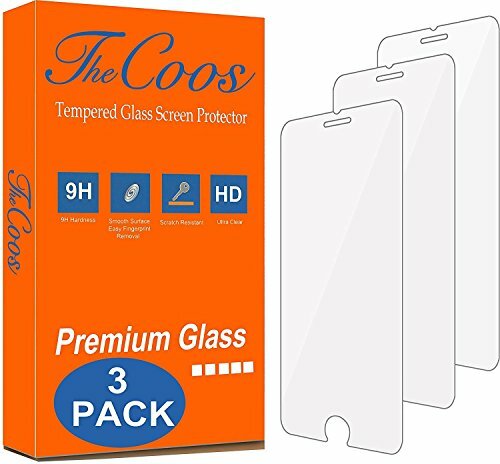 TheCoos has actually included three protectors in this, so you shouldn’t have to buy a new one for awhile. As you can see, there are a lot of great screen protectors available for the iPhone 7. 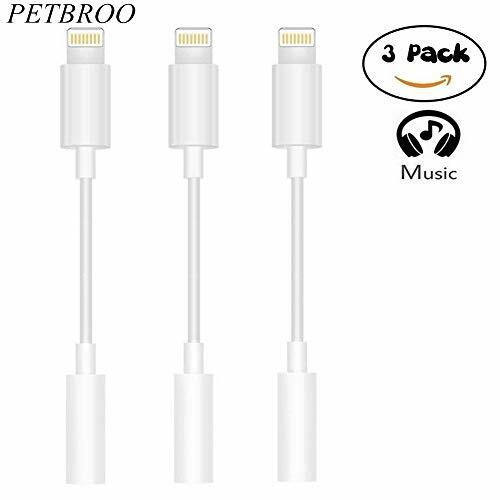 There’s not necessarily one that is better than the other on this list, as they all work to accomplish the same task — keeping your iPhone 7 free from scratches and deep slices. Which one are you picking up? Let us know in the comments below.